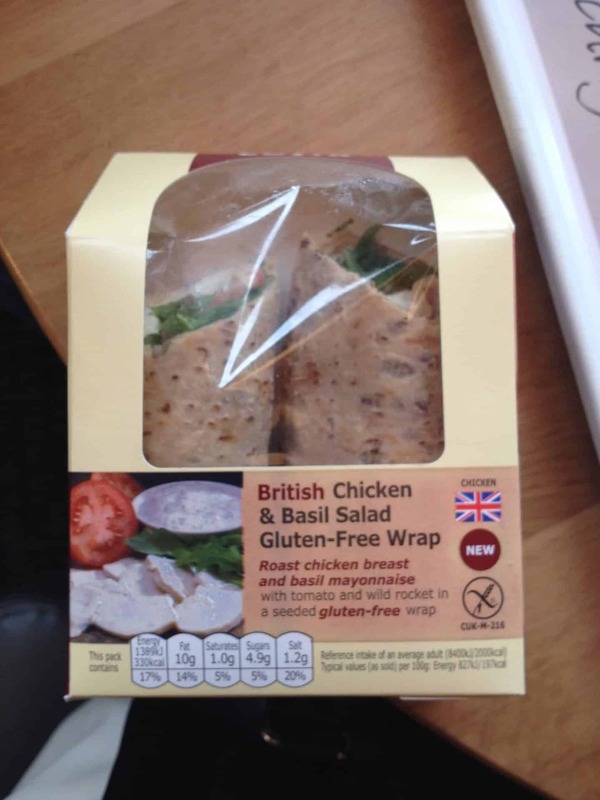 Costa Coffee has launched a brand new gluten free wrap to coincide with the gluten free guarantee week – and in my opinion, it’s about bloody time. Starbucks first launched their gluten free sandwiches years ago, Caffe Nero caught up with the game last year and now, after many years of stocking gluten free brownies, cherry bakewells and Christmas cake, Costa have finally caught up. I only feel this disappointment in waiting so long because a) we have no Starbucks in North Devon and b) Costa have the most impressive gluten free cake range out of all the chain coffee shops I have been to, so it’s only right they offer something savoury. Anyway, on to the good stuff – the product itself! With two Costas in town, I was eager to try this and pleased to find it prominently on the shelf in the first store I went into. It looked impressive – no gaudy wrapping screaming ‘gluten free’ at me, but it was clearly marked on the packaging. It made me feel somewhat normal. I had intended to save the wrap for lunch, but by 11am it was burning a hole in my handbag and I just had to eat it. 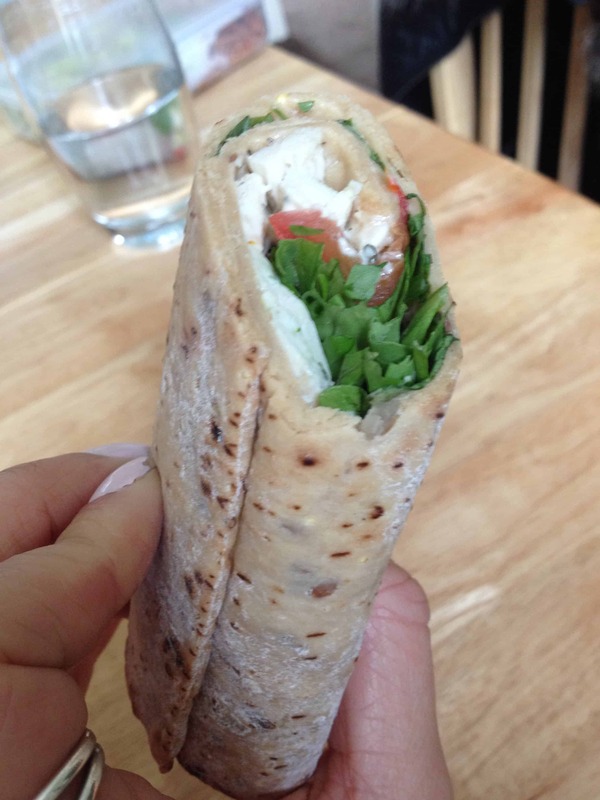 It looked generously filled, with chicken breast pieces, basil mayonnaise, rocket and tomatoes. All wrapped up in a seeded Newburn Bakehouse gluten free wrap. Yum. When I took it from the packet first impressions were good – it didn’t fall apart in my hand! I bit into it and it was delicious – not too much mayo, and the perfect combination of filling. I didn’t think the basil taste was very strong, personally I would have liked a bit of a stronger flavour but I guess this way it will appeal to more people. The wrap was also very soft which was great. I have found sometimes when I make wraps myself they can go a little chewy, but this was so soft, and filled to the brim, right the way down until the last bite. I am so happy that Costa has finally come out with this product, and I only hope there will be more to come! 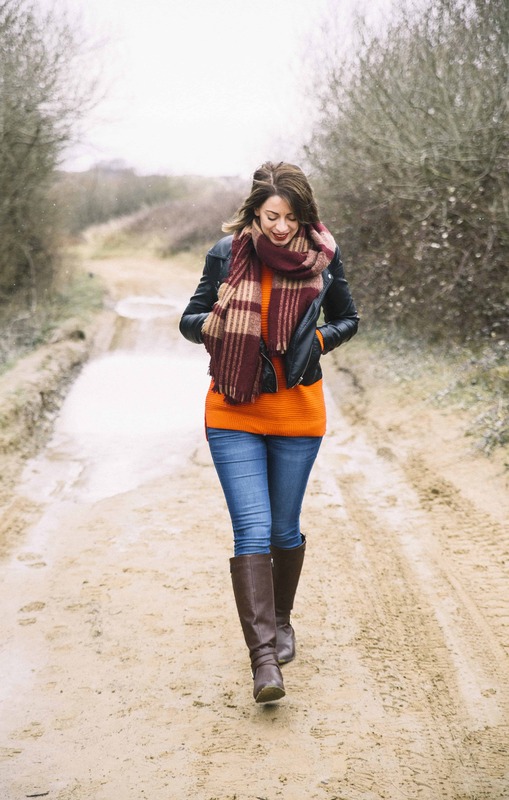 Having more on-the-go options is such a relief for those with coeliac disease. I don’t think ‘normal’ people quite understand how amazing it feels to be able to go into a coffee shop and just grab lunch and run! Have you tried the new Costa wrap? Comment below and let me know which coffee shop is your favourite for gluten free goodies on the go! Next Post Gluten free guarantee: How is your free from aisle looking? Great to read this we stopped in Costa back on our way from Bristol to North Devon on the M5 and this was all I could find to eat safely at the amenities. I had to say, we had to check the ingredients twice (dairy intolerant since being diagnosed as Coeliac as well), but was pleased no dairy. So tried it and like you initial impressions were really positive. The acid test tends to be a hour later, if I am still feeling ok. Unfortunate, but there it is. However I was pleased to say, with no unpleasant side effects, this was a thoroughly impressive lunch filler, a welcome treat for lunch. North Devon food, for Coeliacs just got better.